We are selective in bringing aboard the right team of resellers who have the commitment, technical and sales skills to continue to succeed and grow with our private label VoIP services in this VoIP telephony revolution. We may provide ramp-up time for qualified resellers to meet their monthly requirements. We will provide reseller agreement and Worldkom.Net Non-Disclosure via support ticket. The pdf must be signed. It can be faxed or scanned and emailed to us. Please note that setup fees are non-refundable as labor costs incurred for setup cannot be recouped. Standard Billing Interval 1/1 exceptions include US 6/6, US Directory 411 60/60 and Mexico 60/60 and select rate centers. 75% of US calls must be to RBOCs for blended pricing otherwise LATA or rate centers based pricing will apply. US calls cannot be less than 6 seconds or carrier penalties apply. FCC Universal Service Fund (USAC) is automatically paid for all US calls. We do not accept US dialer traffic. "Premium-Rate" numbers are prohibited on our network. We do not sell our dids for Craigslist type of application due to fraud. Wire transfer payments are posted into your accounts during normal business hours. Resellers are required to contact Support via ticket to update their wholesale buy rate file to the most current tariff file at http://worldkom.net/en/a2z. Rates may be updated as market conditions dictate. Rate changes may not affect all your destination prefixes and not all resellers need to update their rate file as they may not be affected. Failure to update the rate file may result in calls failing to certain destinations due to the automated Least Cost Routing and profit guarantee mechanisms used by Porta Switch. When rate changes are applied, it is the reseller's responsibility to update their private label customer rates. Failure to do so may result in losses on routes for resellers. For high volume traffic, our terms are prepaid, via bank wire transfer, deposit or ACH for best rates and to meet our security requirements. You will need to purchase an initial $500 worth of voip minutes. Our bank charges $12 per incoming international wire. We recommend ACH or check deposits directly to any of our bank locations for our US customers. For international customers we recommend payments via PayPal or wire transfer. Wholesale Rates are in US Dollars and are subject to change based on market conditions. Our wholesale minutes are provided primarily for those who use Private Label Porta , Genband Nextone or Mera Voip Soft Switch Services. Please note setup fees are not refundable as it involves direct labor costs associated with configuring and setting up the packages you order. While we will do our best to provide the services you request, we cannot refund setup fees once the account is setup. Credit balances in accounts over 30 days cannot be refunded. You may use the credit balance to apply towards any of our services. Non-active accounts over 60 days are automatically deactivated. Non-active accounts over 90 days may be deleted and all data removed from our servers. We will escrow funds (money is set aside in a separate account under your company name as a deposit) for monthly recurring fees such as wholesale dids and toll free numbers. For those who use your own routes on our Reseller Enterprise Plan, we escrow funds to cover monthly per minute (outbound only) processing fees. Inbound minutes are free (except for toll free) and on-net calls are free. We do not limit number of accounts you can have on our server or virtual numbers. Escrow formula is monthly usage multiplied by 1.5 (example if monthly usage is $500, $750 must be set aside). It is the reseller's responsibility to ensure a good account security policy is setup for all devices accessing our services. Passwords must follow the computer industry strong password guidelines. The goal of our tech support is to train the reseller so that reseller is able to support and manage reseller customers on Porta VoIP Switch. We do not support internal Local Area Network Setup for our resellers as that will require direct communication with your clients which is outside the scope of our reseller program. 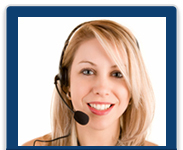 Please see our custom tech support services. Our tech support is limited to the Hosted Porta VoIP Switch (Cloud Services). We do not directly support reseller customers as that will negate our Private Label Services. For the higher packages, it is highly recommended you have a tech personnel on your staff. Please note custom charges may apply if you do not have sufficient technical skills and if you need a dedicated engineer to troubleshoot and solve non-Porta Switch problems in real time via chat. You may submit a tech support ticket at http://myglobalhelpdesk.com for normal tech issues. Tech Support Response is prioritized based on severity of technical issue. Non-Mission Critical Issues are typically resolved during normal business hours. While we strive to provide support on various voip devices, our basic support for 3rd party devices and software may be limited. If you need us to troubleshoot your pc, your network or work on third-party pbx like asterisk, it may be considered custom services and may be billable if we take on the project. On-net calling is free to only devices or accounts registered directly to our sip servers. We do not permit free sip-uri transfers to devices not registered on our network. Our online billing is done in real-time and call detail records (and other charges) are available under xDR browser in the Porta Billing Reseller Web Interface for download or can be set to sent to you via email. We do not generate post-paid invoices as our services are all PRE-PAID. We store up to 3 months call detail records. The rest are zipped and archived under the xdr manager and will appear as "cleaned up" transactions. Supported Hardware We support Cisco or Linksys Devices. Devices as Cisco Devices provide excellent voice quality and codec conversion. Our automated device provisioning is available for for Cisco Linksys, Grand Stream devices and select devices. Our automated easy to use network helper script is available for PAP 2T voip adapters. If you are interested in renting our Porta soft switch -Reseller Enterprise Plan, we recommend that your technical person has sufficient technical skills required to manage the switch. We will provide the back-end support and initial training. We do not charge for incoming minutes or adding virtual numbers or extensions. Most inbound did applications with voip devices registered to our server are not billed. We charge a processing fee based on the number of outbound minutes to cover our costs of doing business on the Reseller Enterprise Plan. The Reseller Enterprise Plan allows you to use your own inbound or outbound VoIP Carriers. Please note that our shared reseller plans do not allow you to use your own carriers. On our shared reseller plans we provide our routes without any additional processing costs. Fees are primarily determined by your method of payment, support requirements, volume of usage and routes used. For low volume it is $0.004 per minute processing fee for using your own routes once Accounting has approved your Reseller Application. Standard support services are included and additional support can be purchased as needed for various services such as carrier provisioning, ssl or merchant configuration and custom web programming. Switch Authentication and Codecs Supported Our high volume wholesale voip termination services for your own box such as asterisk or on-premise pbx is included with any of our reseller plans. Your device must be registered to our Porta Switch or originate or terminate from a trusted static ip to use our termination. We support g711u and g729a codecs for both our origination and termination. Our switch bridges the call and does not transcode. RTP proxy can be enabled at account level for your application. Conference Bridge This module can be added to any package that has hosted pbx or PortaUM enabled for a nominal setup fee of $99. Calling Card IVR Calling Card Private Label Services available with our PortaUM IVR. Please note that we can setup your own gateways and access numbers on our Porta Switch. You may want to use our Reseller Deluxe Package Service as you can deploy your services faster. Discounts are based on purchase volume. Callback Services You have 2 legs for each callback call. All calls originate from the US. So if a person is calling from Cairo, Egypt to say London, you will have one leg of the call from US to London and another from US to Cairo. Due to dtmf (dial tone) and caller id requirement, premium routes must be used for callback. For SMS callback, please contact us via support ticket at http://support.globalink.us for more instructions. Calling Plans If you are interested in offering unlimited plans to your customers, you will need to buy wholesale minutes at our rates and may create your bundles for the specific markets you wish to target. For international or global calling plans, you will need the reseller-in-a-box plan. Please contact our support about this service. Hosted PBX There is no monthly charge for extensions. We support g729a and g711u for voice mail. Each extension will include Unified Messaging (Voice and Fax ) and Auto Attendant IVR. We can provide Quality of Service ( QoS) engineering for US destinations if we design the network for you. SIP Trunking, PRI Channels, Phone Numbers and 911 Please contact your support about our Virtual PRI offering. We can sell you virtual channels. You can buy low cost phone numbers and associate it with each Virtual PRI or channel. You may need to get more channels as you grow. A channel allows one concurrent call and unlimited incoming minutes. Wholesale DIDs are sold to those who use our Private Label Soft Switch with automated API. Our low cost US standard dids with 2 channels are not for high volume enterprise clients. International dids are allocated 1 channel but you can get your own virtual channel bank. For high volume use, we recommend that you purchase your own pool of virtual did channels. Each channel will allow one concurrent call. You can assign your dids to your own sets of virtual channel pools. Our channel pools may not be available for non-tier 1 cities. You can also purchase pay-per-minute-dids if you do not wish to have your own channel bank and have high volume inbound call volume. We do not sell dids for craigslist due to security reasons. International DID pricing varies by country and is available for purchase via the international DID API. The international phone numbers are prorated and billed daily with a month-to-month term. International DID API can be added to your reseller interface for a one-time setup fee upon Accounting approval. US DIDs are billed daily to improve your cash flow. All incoming minutes may be free depending on the wholesale plan you select. Using our internal did provisioning api, you can order one did at a time provided you are setup on our EZB class of servers. The other servers require a minimum order of 50 dids per order. International DIDs prices starting at $4.50 vary by province and country. If you prefer unlimited inbound, you will need to get our PRI channels. We can also provide toll free numbers, number porting and 911 services. There is an additional regulatory fee for 911 enabled dids. False Outbound 911 calls may cost $95 per incident to avoid system abuse. Please note activation charges may apply for phone number provisioning. You may also use our approved list of third party did vendors who can support the codecs used on our network. Please check with support. If vendor is not in the approved list, there may be an additional charge to have the vendor configured to work on our Porta Switch and monthly support fee to maintain that did vendor. Please note that third party DID vendor support is only available in the Enterprise Plan. Custom Support Services We provide various custom services to help you with your business needs. Merchant Account Integration, Private Label SSL Certificates, Real Time Web Ordering or Signup, 911 Integration, Custom Inbound DID Vendors and other services are available. Additional costs may apply depending on your plan. Our service has an uptime of 99.9% with redundant sip, unified messaging and proxy servers.